If you're sitting around wondering what to get mom for Mother's Day, well, sit tight because i have another fun little gift idea for you! If your mom is a beauty lover like mine (hey, the apple doesn't fall far from the tree), she will fall hard for the beautyblender bling ring kit! This kit features everyone's must-have beauty tool the beautyblender along with a throne fit for a queen! 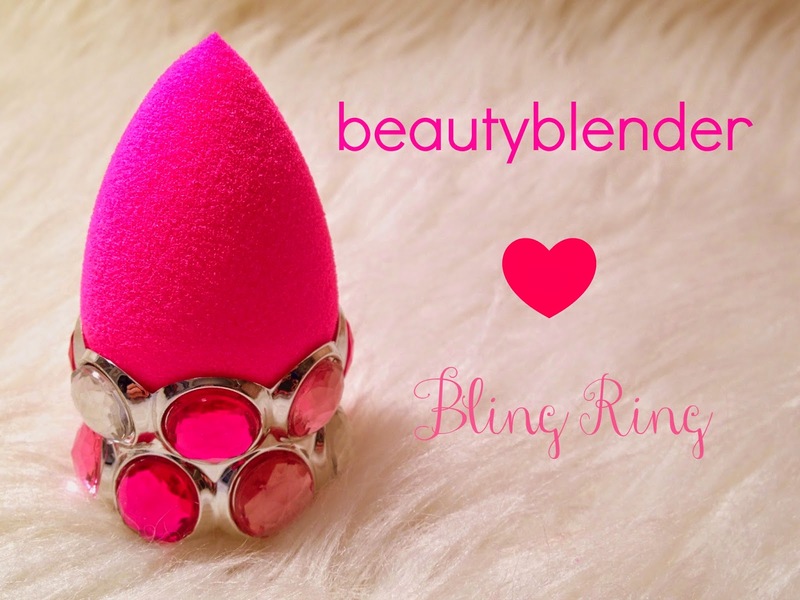 The bling ring is a gorgeous stand that beautifully displays and dries your beautyblender. This sparkler will add a touch of glam to your vanity while serving a very functional purpose. Before this beauty came into my life, my beautyblenders just laid on my vanity looking quite sad. Now, however, they're all about that base (step aside Meghan Trainor) sitting pretty like the fabulous princesses that they are because hey... every princess needs her throne! *press sample - all opinions are my own!